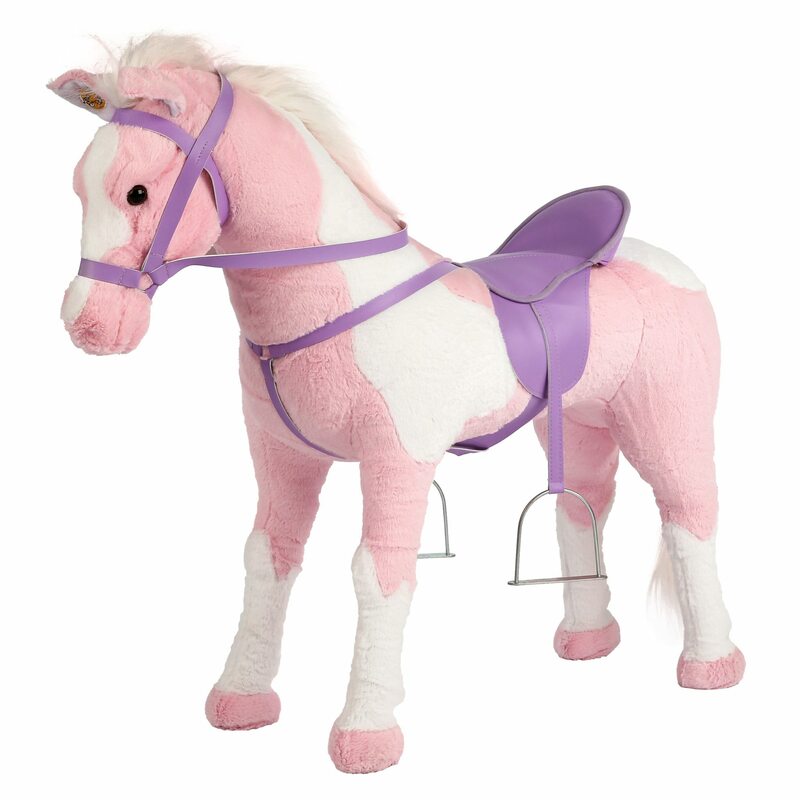 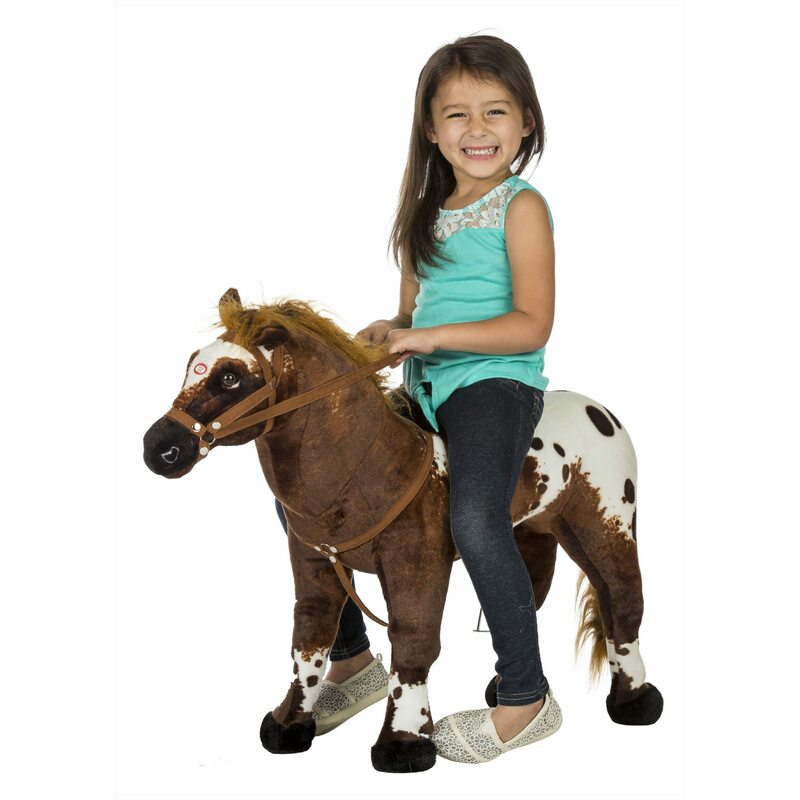 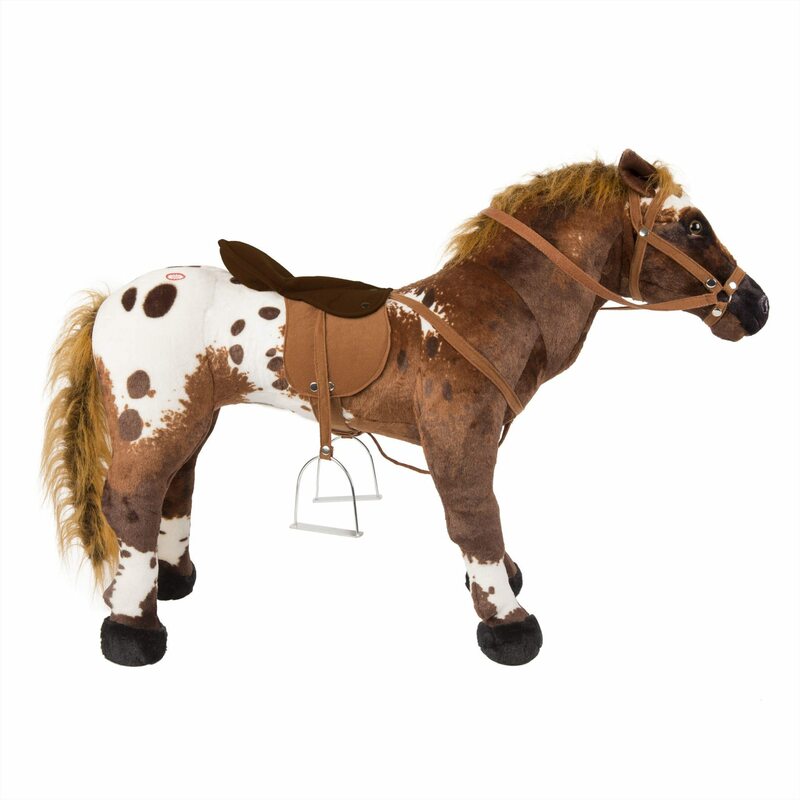 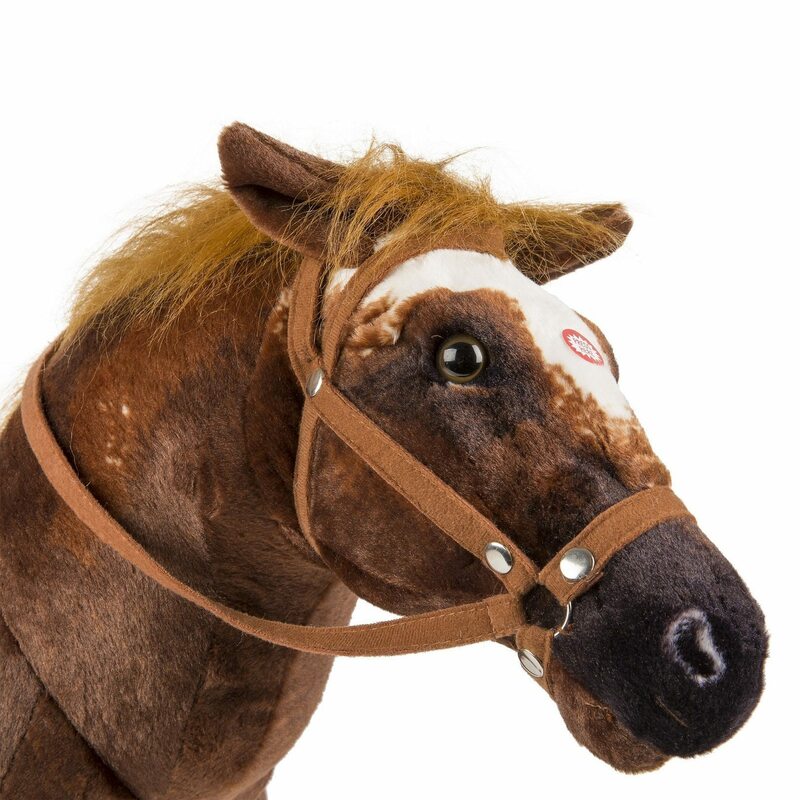 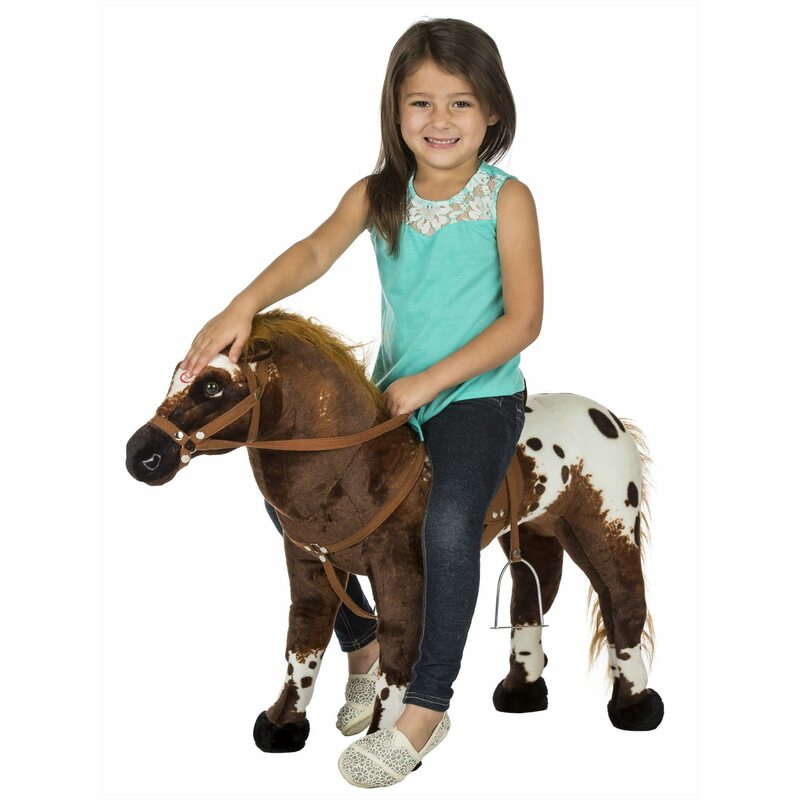 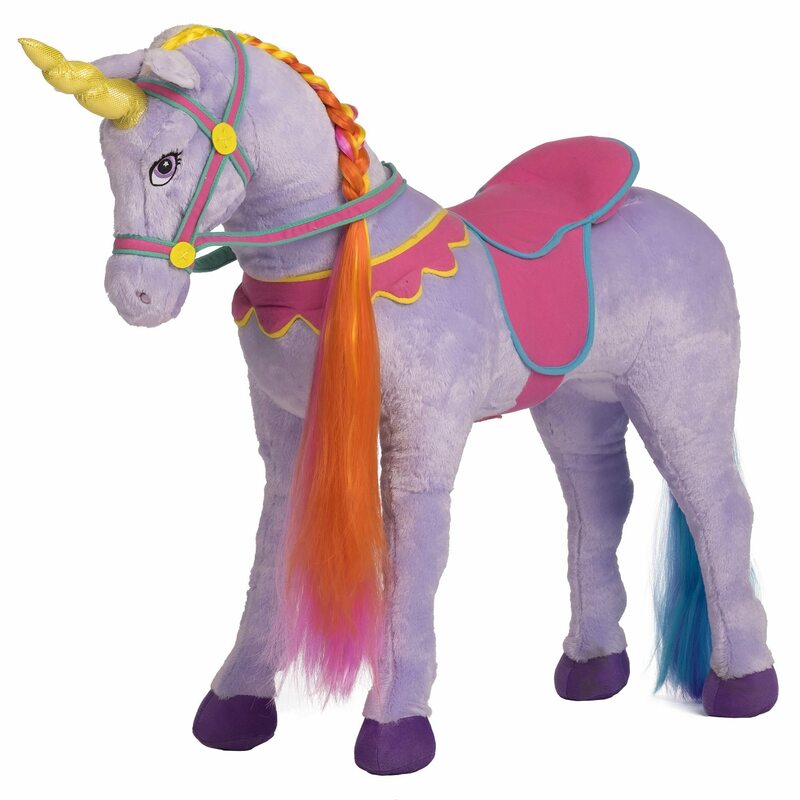 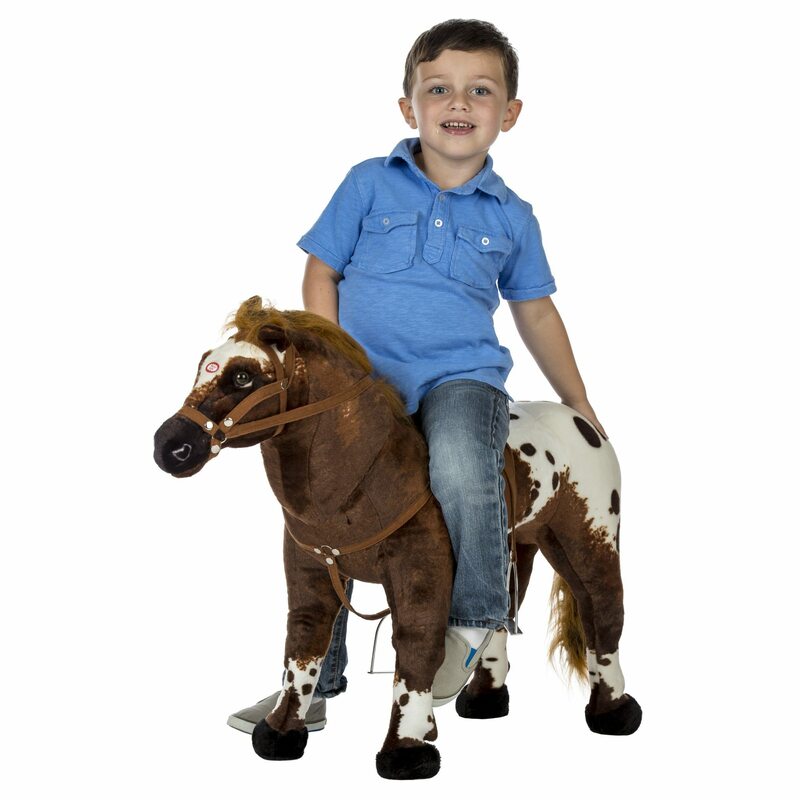 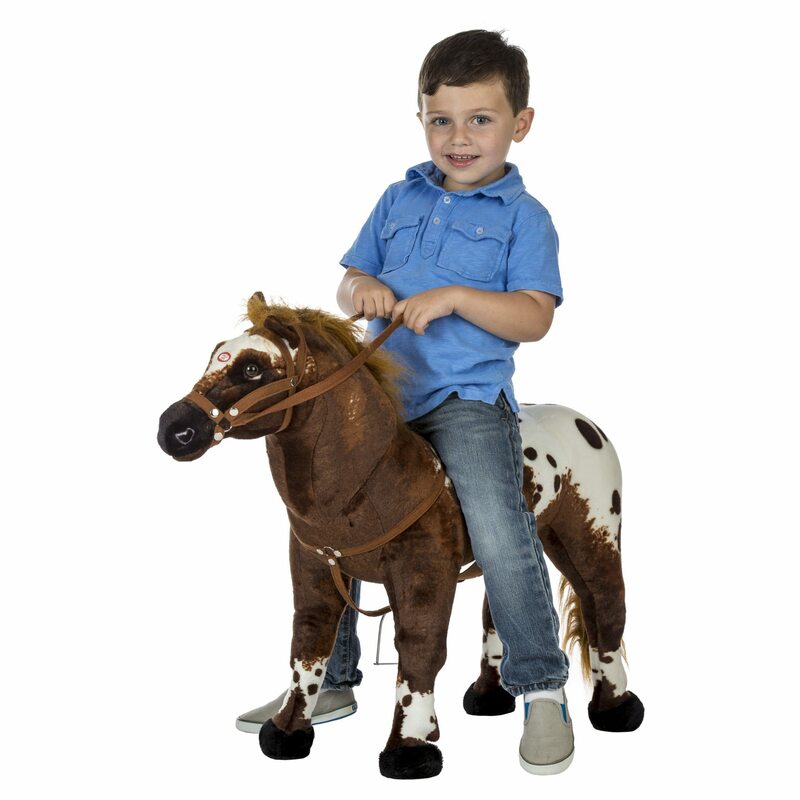 The Rockin’ Rider Domino Stable Horse features a realistic horse pattern printed on super soft plush over a tough, sturdy metal frame. 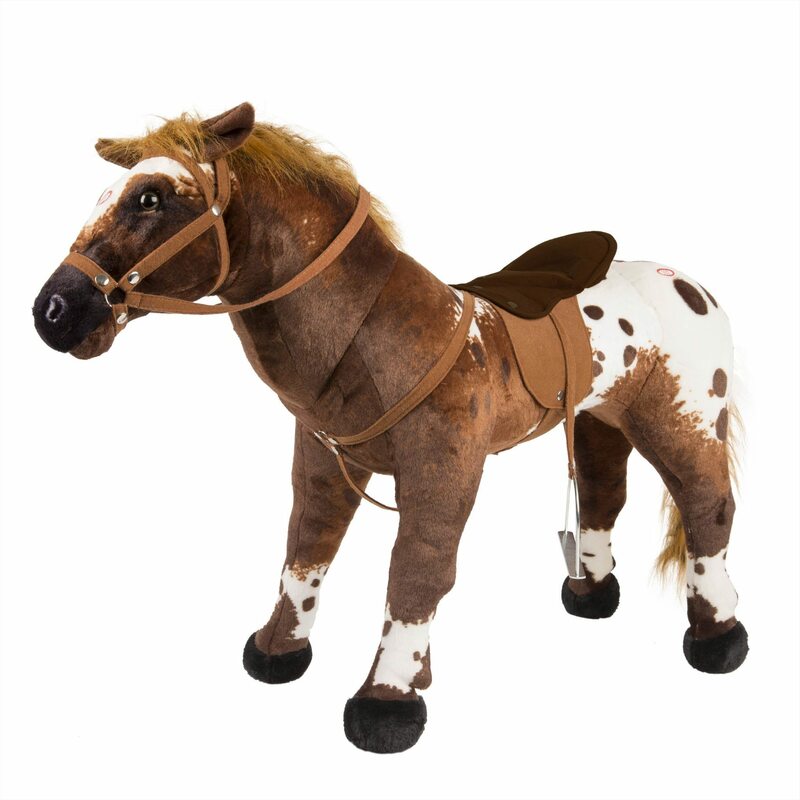 With a press of his ears he sings the exclusive “I’m a Little Pony” song, says 2 fun phrases, and makes realistic horse sounds. 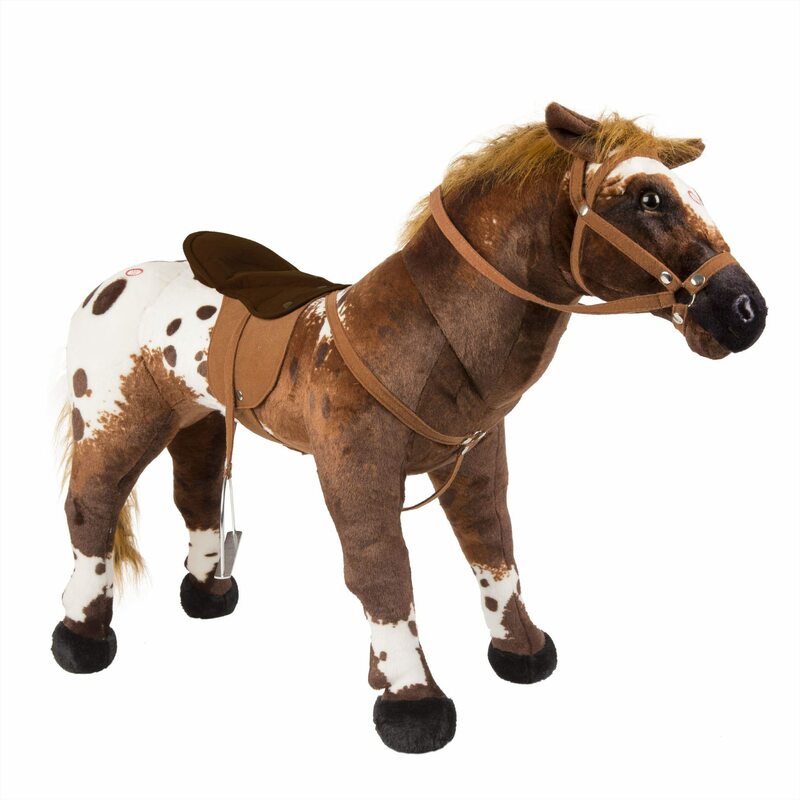 Pull on his reins to hear him neigh, pat his snout to hear him snort, and tap his hindquarters to hear galloping and trotting sounds. 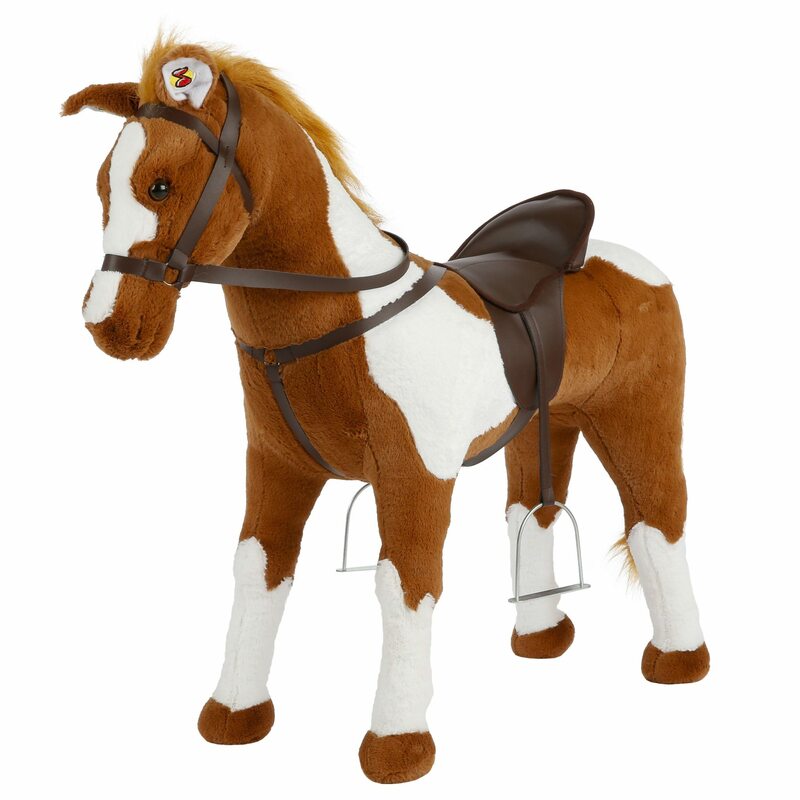 Domino has an expressive, detailed face, removable saddle, metal stirrups, and a realistic mane and tail.